Transfiguring Adoption awarded this book 5 Hoots out of 5 based on how useful it will be for a professionals interacting with or treating foster or adopted children. The target audience appears to be therapists, school personnel, and other professionals seeking to help children recover from complex trauma. Edited by professionals in the United Kingdom, this book focuses on therapeutic interventions in the UK but touches on their counterparts used in the United States. As someone who has a degree in psychology, I thoroughly enjoyed reading this book and its case vignettes. 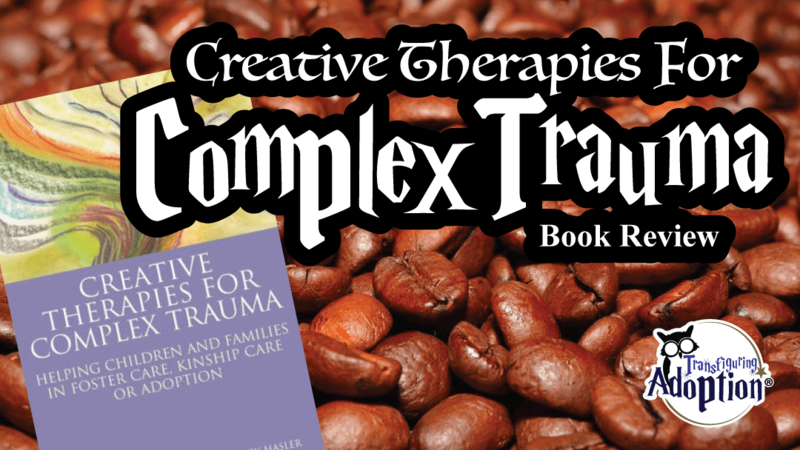 It gives background to theoretical developments in complex trauma and attachment as well the creative therapies used in treatment, their histories, effectiveness, and evidence base. It highlights the need for interdisciplinary interventions and teams of all involved adults working together to help children. This is an academic book which assumes at least some working knowledge in attachment, trauma, psychopathology, and psychotherapy. We highly recommend this book to professionals in the field who interact with or treat foster or adopted children. 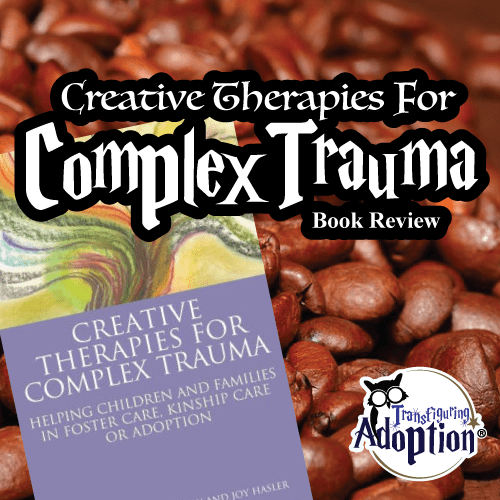 This book would also be helpful to caregivers who are seeking to learn more about creative treatment options which may be available to their children. Have your children taken part in therapies which were ineffective for them? What therapy would you like to try for your child? Has your child experienced success with any creative therapies? If so, what therapy was helpful?